Cynthia White meets with support group for children in foster care. HONOLULU – More than 20 youth in foster care paused during their weekly meeting at Kids Hurt Too Hawaii to reflect on what they are thankful for this holiday season. The children in support group for foster youth, who are between ages 3 and 19, thrive on a safe space to express feelings found here. 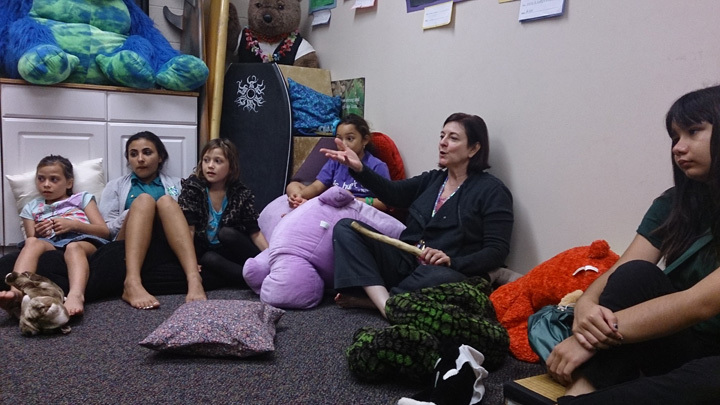 The group’s weekly meetings are also part of a broader effort at Kids Hurt Too Hawaii to help restore hope to grief-stricken children in foster care. “Our focus is on playing a significant role in helping foster youth look forward to their future with enthusiasm instead of anxiety,” said Cynthia White, executive director of Kids Hurt Too Hawaii.